When it comes to Internet marketing, many businesses take an approach akin to throwing mud against a wall to see what sticks. Not coincidentally, many businesses are actually losing money on their online marketing efforts. The Internet is a very powerful marketing channel, but it’s not cheap, and to make the most of it, you need to be goal-oriented. Not all goals are created equal, though. 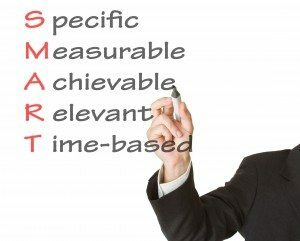 In order to succeed, you need to set S.M.A.R.T. marketing objectives. Here’s what that means. Specific: Ultimately, every marketing program’s goal is to bring more revenue to your business, but such a vague goal is useless. Have a clear statement of what you want to accomplish, whether it’s gaining more exposure in a specific geographic area, landing additional clients or substantially increasing your social media presence. The key to a specific goal is to not only explain what it is, but also why it is important. That explanation gives your goal the power to propel your marketing initiative forward. Measurable: Goals are more or less useless if you have no way of knowing whether you’ve succeeded enough. Have a specific, quantitative way to measure every marketing initiative, whether it’s 100 new subscriptions to your newsletter, three new clients or a 10 percent increase in conversion rate. Measurable goals lend themselves to being tracked easily. Set up a goal whiteboard or similar in your office to measure your progress on each objective day by day. 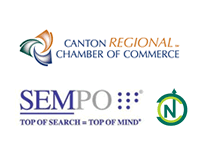 You’ll be able to easily see where your business is doing well and where it needs to improve. Attainable: When setting marketing goals, it’s easy to bite off more than you can chew, so to speak. Billion-dollar businesses aren’t built overnight. Make sure your objectives can be realistically attained. A caveat: Don’t be so focused on making your goals attainable that you end up aiming too low. Remember that ‘A’ also stands for “ambitious.” Make your goals challenging enough to push your business to new heights without being too difficult to attain. 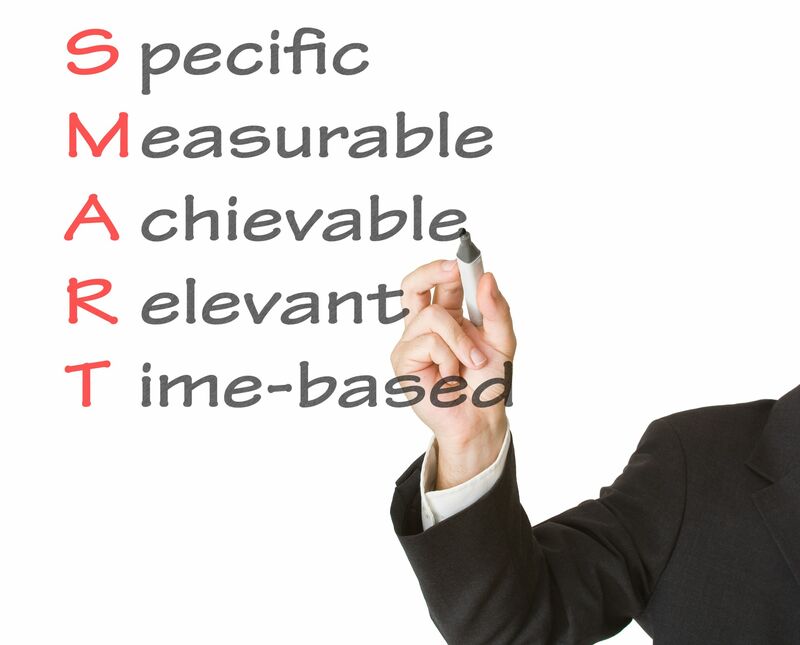 Relevant: Relevance is perhaps the most important measuring stick for any marketing goal. While it’s true that there’s no such thing as bad publicity, not all publicity is equally valuable. Make sure each marketing goal fits your business model. Broadly speaking, this means you need to emphasize reaching high-value clients and customers. Consult your sales data and try to understand the people who buy high-margin products or come back to you again and again, and direct your marketing goals toward them. Time Scaled: Every goal needs a deadline. Depending on your business’ situation, you might measure your progress in terms of days, weeks, months or even years, but ultimately, each goal must be completed in a finite period of time. Setting that definite timeline will help you commit to your goals and give an added sense of urgency that will push your business forward. Effective time-scaling makes all the other elements of a S.M.A.R.T. goal flow together. You can periodically measure your progress against the specific objectives you’ve set, make adjustments along the way and ultimately bring in more revenue. Then as time marches on we continue to monitor our progress against that goal to ensure we’re on the right track. While it’s impossible to guarantee that you’ll meet your goals, you should expect to see progress towards you objectives so that you can help your business grow!